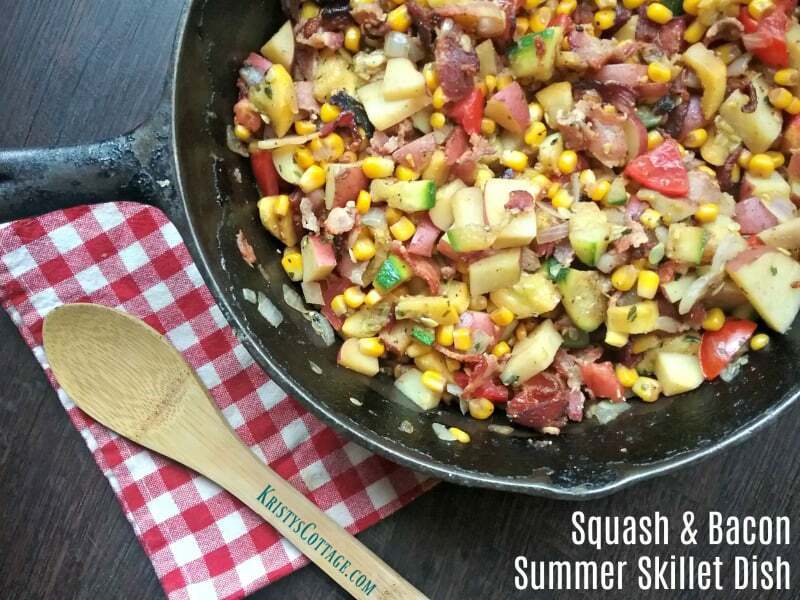 Here’s a peak at what our family had for supper yesterday: Squash and Bacon Summer Skillet Dish! I have to say, this was a simple dish to prepare and it was really flavorful. Right… there’s that word bacon in the recipe title. So it has to be delish! 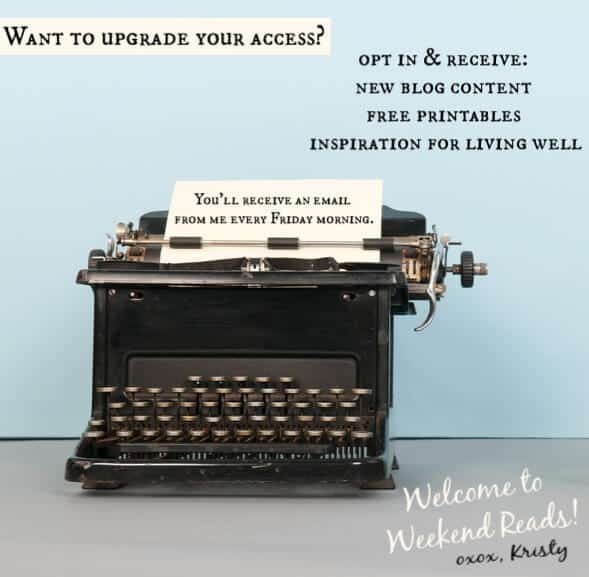 Yesterday afternoon, I posted a question over at our blog Facebook page and asked what kind of recipes you want to see around the blog this summer. Your response: hot-weather-friendly, budget-friendly, and healthy. Happily, this recipe is all three! If you have a garden, this will be extra budget-friendly. I cooked everything in one skillet, so the heat and clean up were pretty minimal. This dish took about 45 minutes to make from start to finish, and comfortably served our family of eight people (3 adults, 5 kids). If you have a large family of hefty eaters, you might consider preparing two skillets! If you’re cooking for yourself, or a smaller family, you’ll likely have some leftovers for another busy day. Grab your apron, veggies, and cutting board… and enjoy! Pre-heat your cast iron skillet over medium heat for about 2 minutes. Place the bacon in the skillet, then cover and fry until the bacon is no longer pink. I turned the bacon several times so that it fried evenly. While the bacon fries, wash and chop the squash, zucchini, onion and red potatoes. Once the bacon is done, remove it from the skillet to drain on a paper towel. 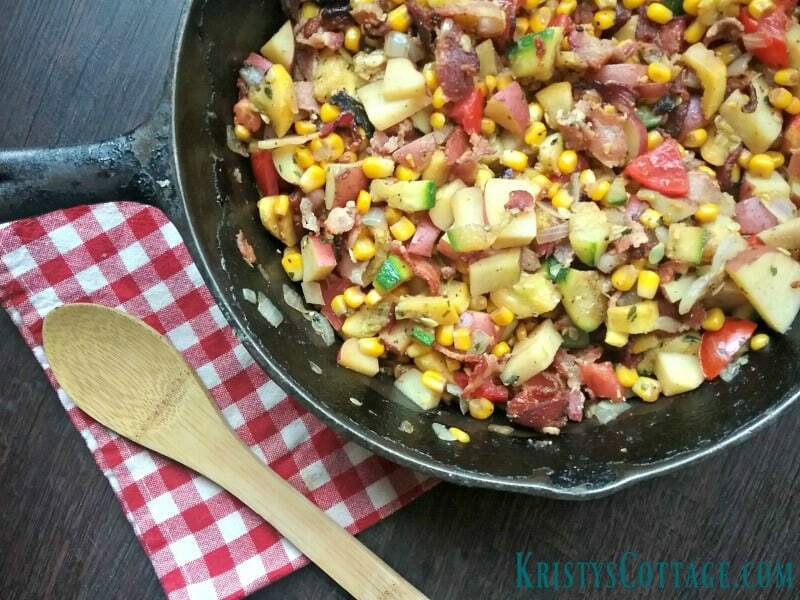 Pour off some of the bacon grease, but reserve several tablespoons for sauteing your fresh veggies! Add the chopped squash, zucchini, onion, and potatoes to the skillet. Stir a little, then cover and cook for about five minutes. Next, add the corn! Season to taste with sea salt, black pepper, garlic powder and dried or fresh basil. Cover and cook for about ten more minutes. Stir things up a few times to prevent scorching or sticking! 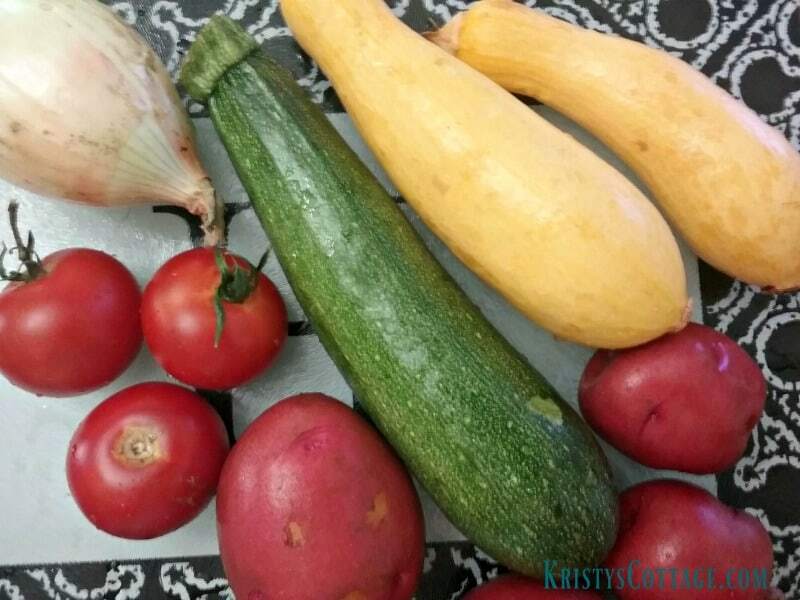 Variation: if you’re going low carb or are allergic to corn, you can always omit both the corn and potatoes and replace them with additional squash and zucchini. While your veggies are cooking, dice the tomatoes and crumble the cooled bacon. Once the veggies are as tender as you like them, remove the lid and fold in the diced tomatoes. Sprinkle the bacon on top, or fold in if you prefer. 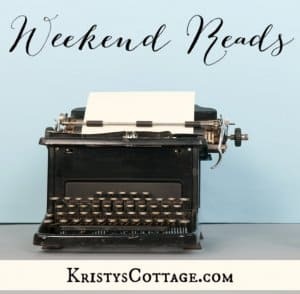 If you’re ready to relax a little (like I am at the end of a busy day), dish up your yummy skillet meal on paper plates and serve with glasses of iced water or tea. I would call this a light summer evening meal; perfect for when you’re feeling that summer time heat, and prefer a meal that’s flavorful but not heavy. Would you add anything to this dish from your garden or pantry?